Welcome to CJH Brick Restoration. Specialists in repointing for the restoration and conservation of Grade I and Grade II listed buildings. We are a professional and friendly company located in Teddington, Middlesex, with over 60 years of combined experience. Our team of craftsmen are masters in brickwork repointing, using only traditional tools and natural materials that would have been used when your property was originally built. We pride ourselves on excellent service, and our aim is to provide the most cost effective solution that will work for you. 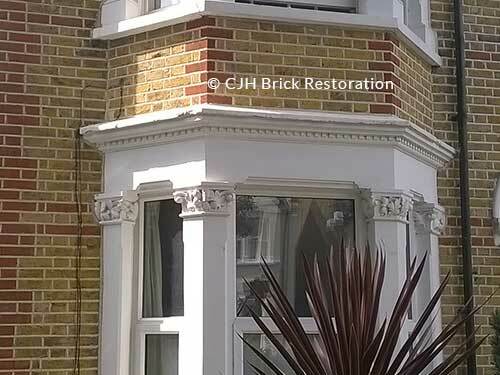 Here at CJH Brick Restoration, we regularly see the damage that could have been avoided to buildings through the misuse of cement, sealants and modern materials that damage older style properties. We can help reverse this damage and restore the original look, character and value to commercial and residential properties. Our brickwork restoration services include Tuck Pointing, Penny Pointing, Brick Pointing, Re-Pointing, Brick Cleaning, Brick Restoration, Weather Struck Pointing, Flush Pointing, feature walls and fireplaces for all your interior and exterior brick restoration projects. We undertake insurance work and provide our services to residential customers, contractors and commercial clients locally throughout Richmond-Upon-Thames. The areas we cover are Teddington, Twickenham, Fulwell, Strawberry Hill, Whitton, St Margarets, Hampton, Hampton Wick, Kingston, Sunbury, Shepperton, Ham, Petersham, Richmond, Kew, Barnes, Mortlake, Sheen, Elmbridge, Walton-on-Thames, Weybridge, Cobham, Oxshott, Claygate, East Molesey, Thames Ditton, Long Ditton, Esher, Hersham, Stoke D’Abernon, Chiswick, Brentford, Putney, Fulham, West London, South West London, Middlesex and Surrey. If you are considering a restoration to your pre-1930’s property that requires professional brickwork repointing, then please call Chris for a friendly no obligation chat. 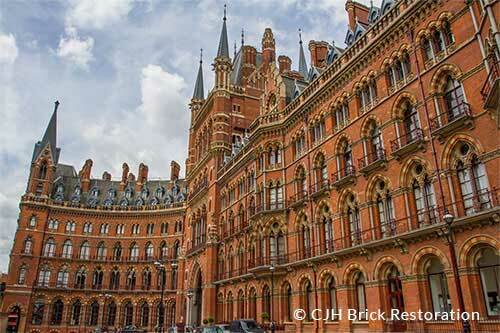 Chris was one of the site managers involved in the restoration of St Pancras Chambers, London.